Our tips start in the initial design stages of your email. Try to avoid image or video heavy emails, as these massively increase the size of your email file, which raises a red flag for many email clients. In particular, you should steer clear of image only emails with no real text, as these often get sent straight to spam. 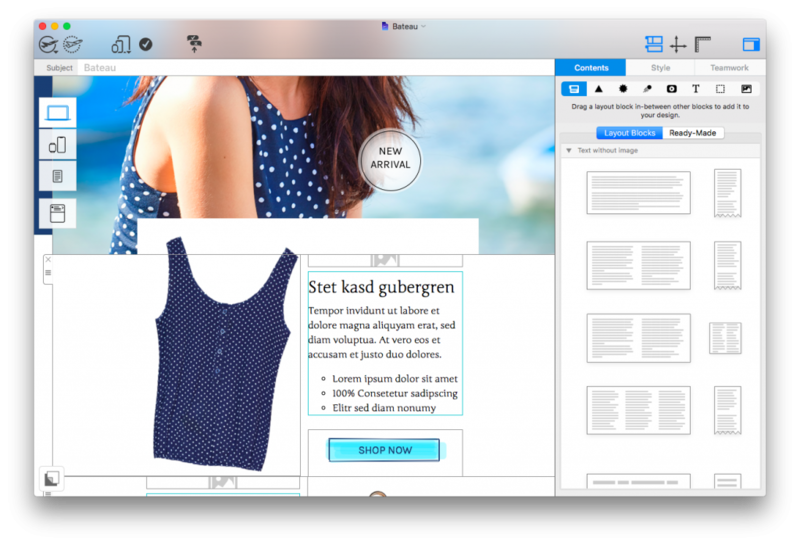 In Mail Designer 365, you should include a good balance of text and image layout blocks to stay on the safe side. Use a mixture of real text and images to avoid being caught out by the spam filter. Your subject line will be one of the first things your recipient will see in their inbox, which makes it hugely important in terms of making a first impression. Aside from this, there are some key things to avoid in your subject line if you don’t want to be caught out by the spam filter. This includes over-punctuation (!!! ), the use of ALL CAPS, and the use of spam trigger words. Test sending your email first is a good way to flag up any possible problems with your email before you send it out to your subscribers. You’ll be able to identify anything which could cause your email to either automatically land in the spam folder, or be sent to spam by a recipient for appearing sloppy and unprofessional. This could include things like spelling mistakes, compatibility issues and display issues. Use the Testmail feature in Mail Designer 365 to check your email for mistakes which could land you in the spam folder. Using a reliable ESP (email service provider) is a great way to minimise your chances of landing in the spam folder. Most reputable ESPs have all the right settings and options in place for you to put together a legitimate email campaign. 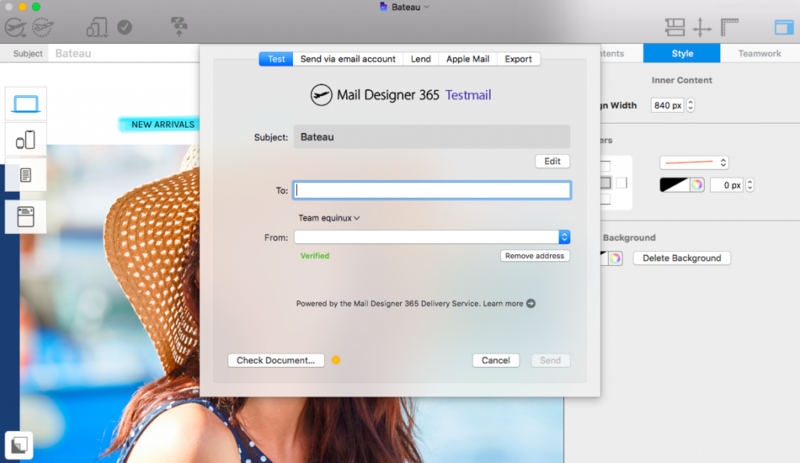 Mail Designer 365 is compatible with all leading ESPs. You can find a full list here. You should take the time to regularly go through your email list and make sure it is clean and well maintained. If you notice multiple bounces or inactive subscribers, you should make an effort to remove them from your list or launch a separate re-engagement campaign to prevent your brand and reputation from being damaged. If your recipient does not recognise the sender name on your email, there is a high chance that they will mark your email as spam. Rather than generic names such as no-reply@, webmaster@, etc., try to choose a name which is clearly tied to your business and will stand out to your subscribers in their inbox. This way, they’ll know straight away that the email is from you and will be more inclined to open it. The key is to aim for quality not quantity. By sending too many emails where there is no clear benefit to the reader, you are setting yourself up for failure. Even if your email makes it through the spam filter, if it appears pointless to the recipient, they can easily mark it as spam themselves – which is damaging for your reputation. We hope these tips and tricks for avoiding the spam filter will come in useful when you’re putting together your next email campaign.